GROW-ing : healthy things always start growing from the inside out! This book, which has now become a Netflix show, has simply taken off. It’s so popular. A small, overpriced, hardcover book, is flying off the shelf. 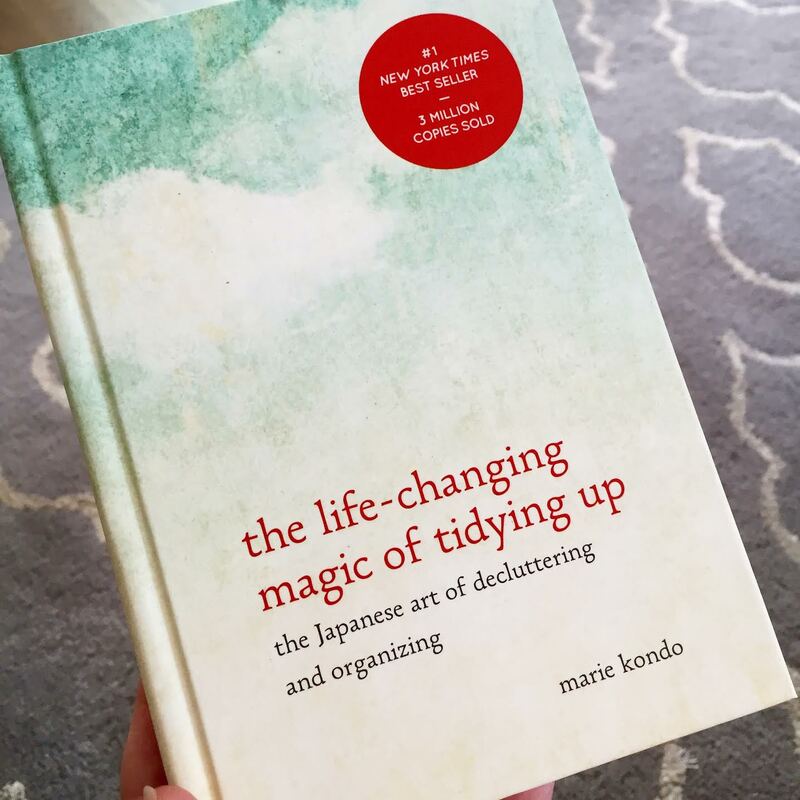 Because people are desperate for their clutter to disappear, and many of us have no clue how to make that happen. So in comes Marie…the Tidy-up genius. The episode I watched had something amazing happen in it: Marie paused…quieted everyone… and proceeded to take a few moments to be silent. The family wasn’t sure how to react or respond to this. What Marie was trying to do was help this family realize that their home ‘can’ be a place of peace if you simply allow it to be. We don’t realize how much we simply need to stop, pause, be silent, and rest. It’s counterintuitive and counter cultural, but boy does it work. For the next few weeks we’re going to try and unpack those things a little more. Expand on the bite size portions we gave you last week. 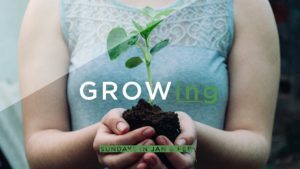 What do we mean by GROW-ing? – Now & Later. Present & Future. The word GROW leads us to think of size, impact, accomplishment, achievement, success, arrival – all good stuff. 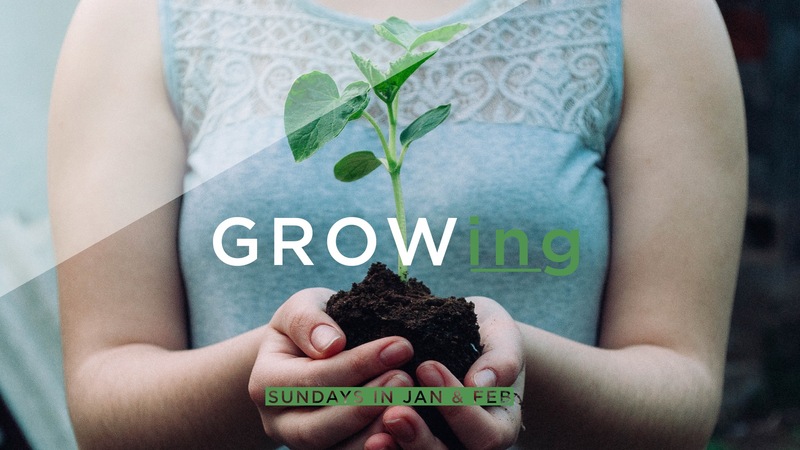 However, for a church community, and for a follower of Jesus, for any of that to happen, we have to experience growth inside (heart/mind) before we see it outside. For the first part of this series, we’re going to focus on the heart & mind. If we can think like Jesus thinks, we are led to live like Jesus would live and love like Jesus would love. Here’s the thing: If our minds & hearts can stretch and grow, inevitably, our lives will too. Lets back track, intentionally, to the scripture text that started our year off with a few weeks ago. Romans 12:1-2. Before we do, it’s worth noting that around this time of January, 20, 21, 22, is when people start giving up resolutions. By now they’ve either formed a new habit or have failed miserably at introducing something new into their life. If you did start something new…have you succeeded or have you failed? Have you developed a new healthy habit or have you fallen off the map? The challenge is to keep going, move forward, and grow where it matters most, in our minds/hearts. Let’s read it…as a reprise from two weeks ago. You may recall these words from the NIV version of Scripture, “offer your body as a living sacrifice…holy & pleasing to God”. These words would confuse and mess up anyone that was used to a sacrificial system. Why? Normally, sacrificed things were dead or ceased to live when they were sacrificed. Paul says, May you be “LIVING SACRIFICES”. 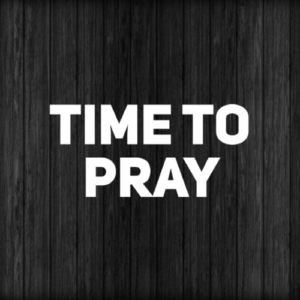 Place your life, your everyday life, before God. Everything in it. Every part of it. Our fears, our anxieties, our hopes, our dreams, our confidence and our doubt. After we’ve surrendered, now we’re ready to receive and to embrace. Paul says, that in our act of embrace, of receiving, we are actually worshiping God. Surrender and embrace is an act of worship. In worship, we surrender and we embrace; we give up what we don’t need any longer, and hold on to what God is offering us instead. Not sure what’s harder, the surrendering or the embracing? That moment you realize that what you thought was important, isn’t that great, or that moment you jump in, with two feet, totally abandoned to who God is? Difficult? Maybe. Worth it? Definitely! Speaking of difficult, this next challenge Paul puts before us may be the hardest to both discern and avoid – Fitting in. These seeds of surrender & embrace lead to something so beautiful: Living a life that is not stuck to or pressured by the culture around me. NT Wright says…don’t let others set the pace for you…set your own…work out what sort of person you should be…or what sort of people we should be. Many of us get stuck on the expectations of others. And it is a dangerous place to live. Paul’s challenge is this, figure out what God expects: that will be your sweet spot, that will be your success;, that will your best life. Fix your attention on God, and you’ll be changed from the inside out. How? Paul says, by the renewing of your mind. God cares about our minds…he wants us to think through things and ponder on things, and figure out how we can best love him and love others and make the world better. What do we need to let go of this year? What do we need to embrace this year? Better yet, what are you holding on to that is holding you back? How do figure all this stuff out? Surrender? Embrace? Not conforming? Being Transformed? We must add formative practices to our lives for there to be any real spiritual formation in us! – online tools (sacred space, you version, daily office, get on an email list or app notification, etc. Think about Marie Kondo and her gift of Tidying Up your life. She comes in, analyzes what needs to go, helps you believe it has to happen, removes the unnecessary and space filling items, and then allows you to invite the things that actually need to be there to help your life be the best it can be. Our minds and hearts will grow…by getting rid of the stuff that’s in the way – adding the things that nurture our faith – and watching God work in us. I invite Jesus to be planted deep inside of me, transforming me, changing me, renewing me.